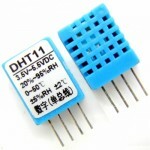 Purchase online HDC1080 Humidity & Temperature Sensor Module in India at low cost from DNA Technology, Nashik. 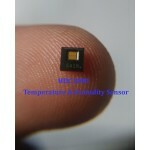 HDC1080 is a a very Low power (1.2 ua yes 1.2 micro Ampere) digital Humidity and temperature sensor from Texas Instruments. 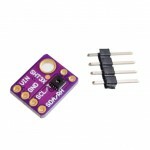 This is a breakout board/ Module for this small (3mm x 3mm) sensor. 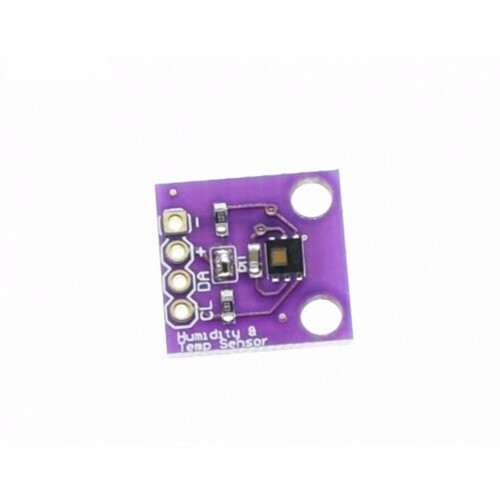 This board is perfect for developers who are interested in testing if the sensor is good enough for their product. The HDC1080 is a digital Humidity & Temperature sensor with integrated temperature sensor that provides excellent measurement accuracy at very low power. The HDC1080 operates over a wide supply range, and is a low cost, low power alternative to competitive solutions in a wide range of common applications. The humidity and temperature sensors are factory calibrated. 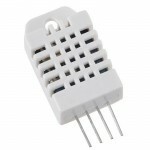 TMP102 Digital Temperature Sensor BreakoutTMP102 is an easy-to-use low power digital Tempe..